Crude oil has bottomed out recently, demonstrating a strong rally that has started in February. 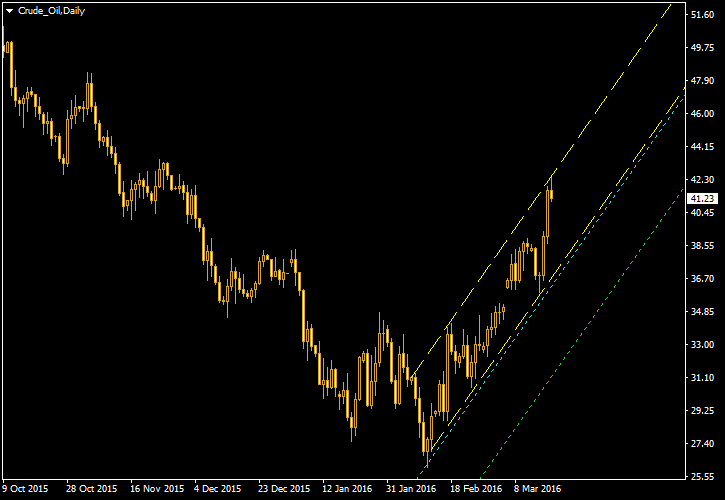 Prices were moving in an ascending channel as it is shown on the present chart. While the pattern is a bullish one, the long move upward means that some form of a correction is likely to occur in the near future. line shows the entry level for short positions. The green line together with the bottom yellow line creates a mirror image of the channel to the downside and presents a profit-taking objective. 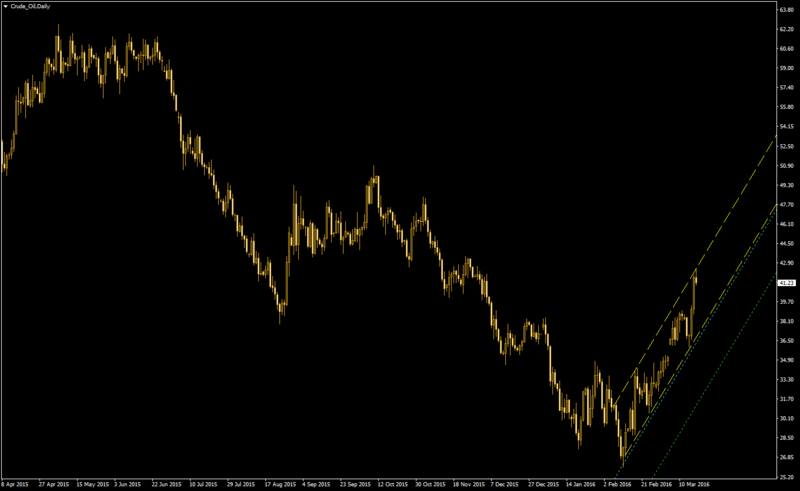 You can download the MetaTrader 4 chart template for this pattern.